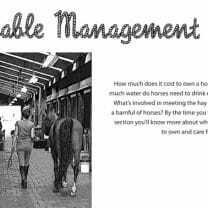 In January 2014, a new record was set by the Heilan International Equestrian Club in China for the largest horse dressage. 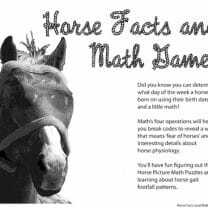 The entire record-breaking performance consisted of thirty black Friesian horses and thirty white Lusitano, Andalusian horses, ridden by an all-female team. 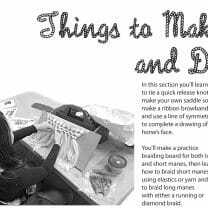 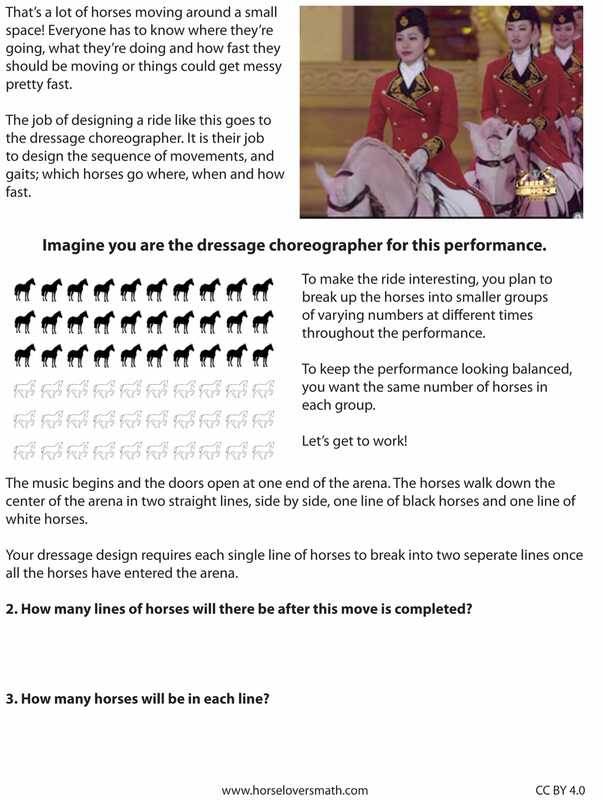 Kids are put into the position of being a dressage choreographer. 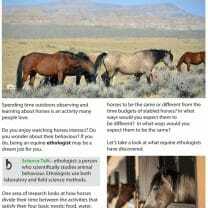 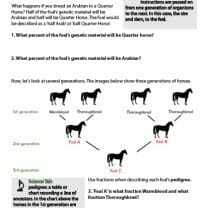 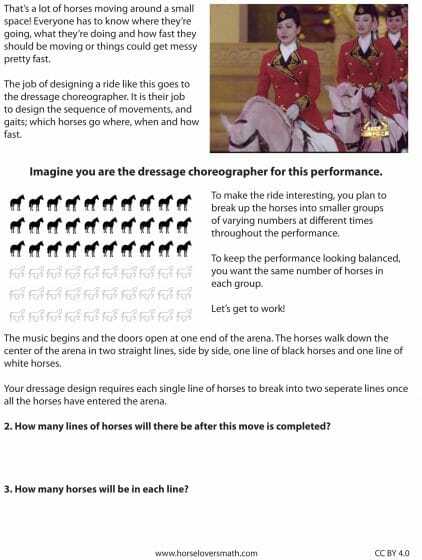 How many different groups of horses are possible? 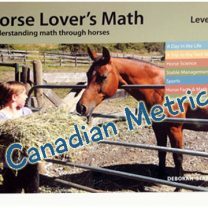 A perfect, real world situation for a math array worksheet for horse crazy kids! 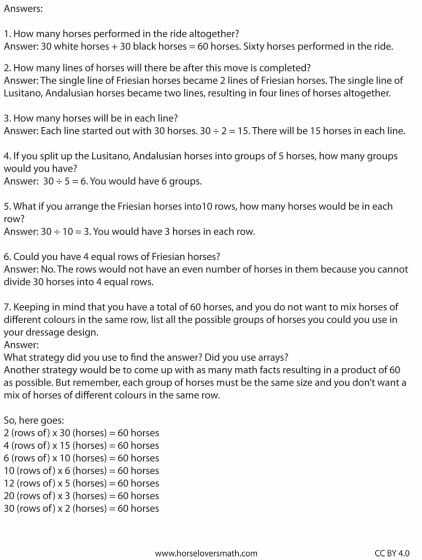 3.OA.A – Represent and solve problems involving multiplication and division. 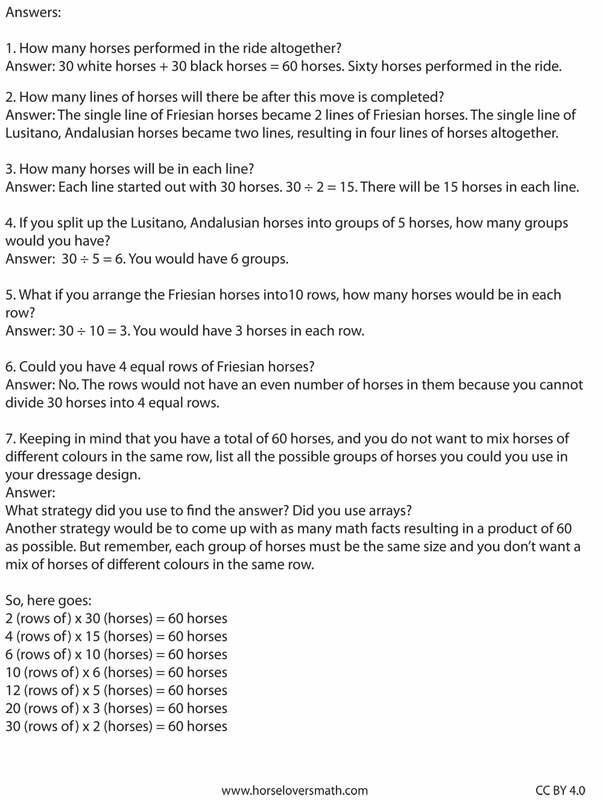 4.OA.B.4 – Find all factor pairs for a whole number in the range 1-100.